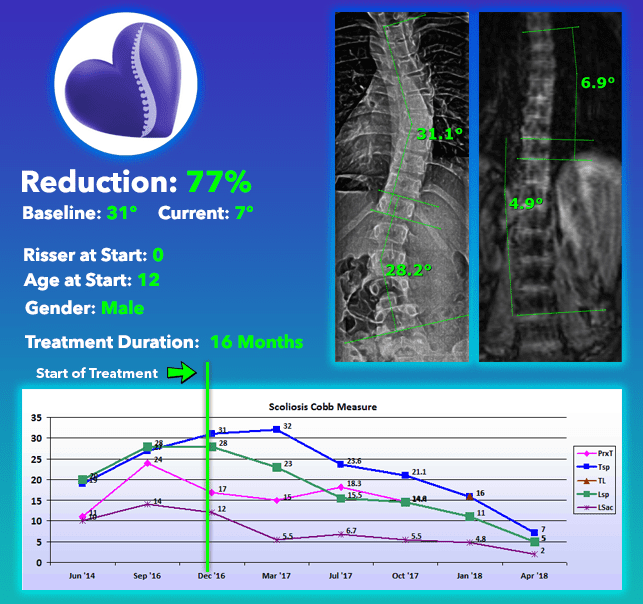 Many cases of idiopathic scoliosis can be cured without surgery. 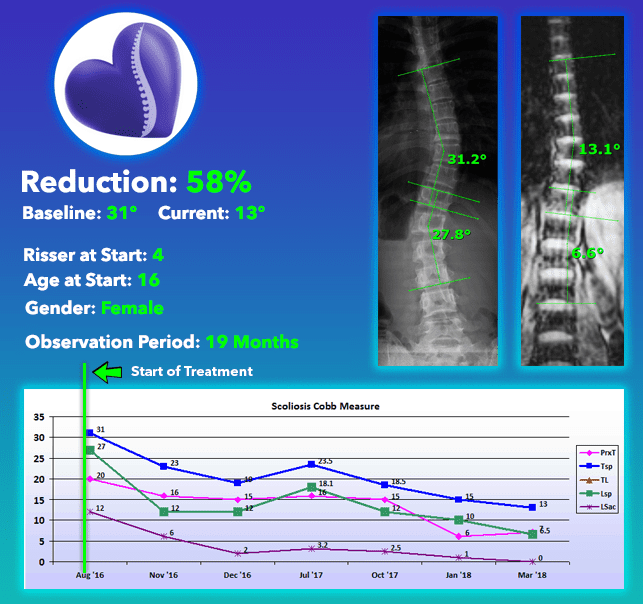 Since scoliosis is defined as a lateral deviation of the spine exceeding 10 degrees, a cure is considered to be any treatment that is able to reduce scoliosis to under 10 degrees. 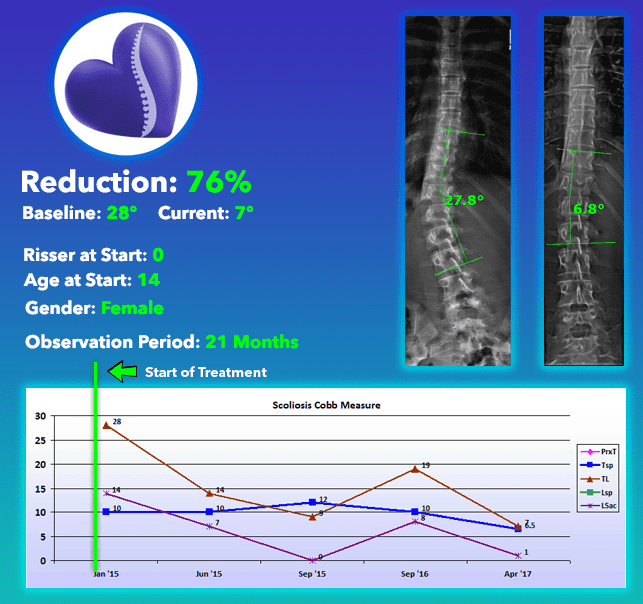 Key factors in the curability of scoliosis are the size of the curve and the effectiveness of the treatment. 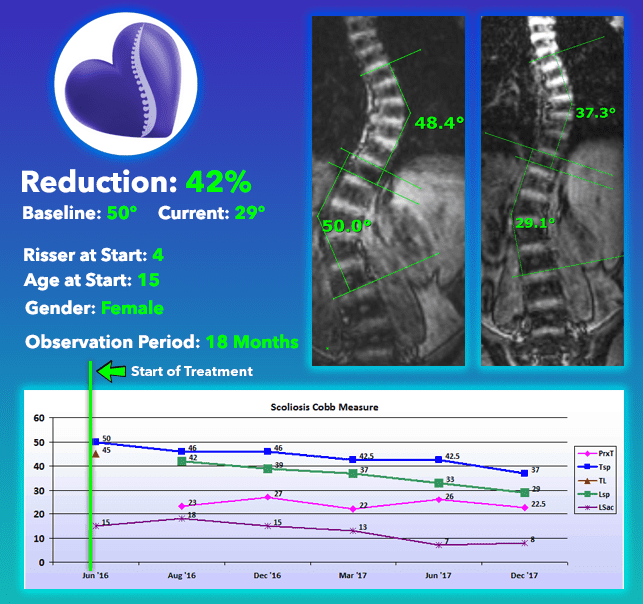 When utilizing the Silicon Valley Scoliosis Method, smaller curves between 10-25 degrees are frequently curable, while curves as large as 30 degrees may on occasion drop below 10 degrees. 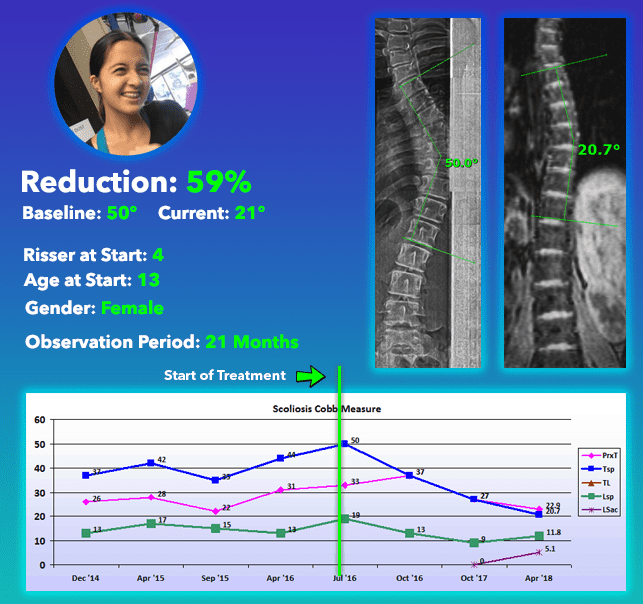 The effectiveness of the Silicon Valley Method is based on addressing the root cause of the scoliosis, getting the patient as straight as possible in the brace, and close monitoring of the curve with radiation-free standing MRI. Cases larger than 25 degrees may not always reduce below ten degrees, however, significant reductions in curve size are attainable. 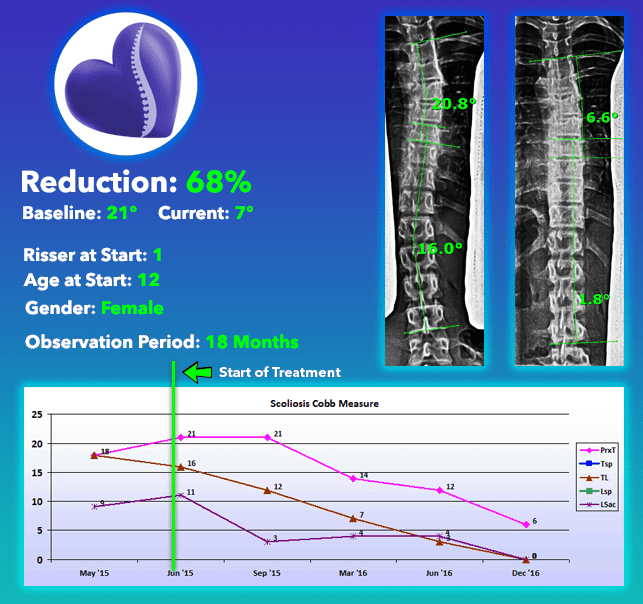 An average of 35 percent reduction is attained when treating curves between 25 and 39 degrees using the non-surgical Silicon Valley MethodTM. 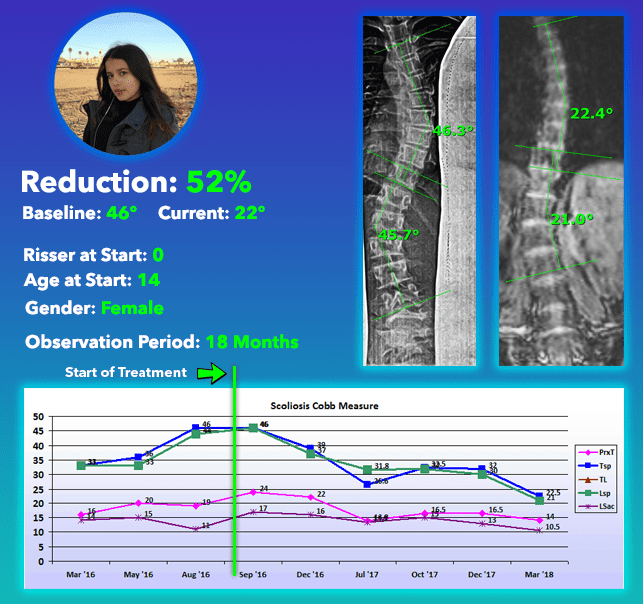 In spite of many documented non-surgical successes both clinically and in published literature, most orthopedic surgeons make the claim that nothing can reduce scoliosis except surgery. The pictures below prove that this is simply not true. 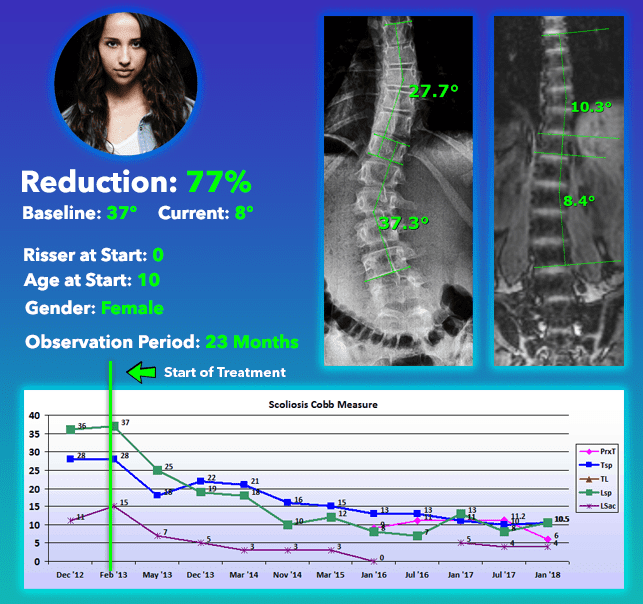 It is possible to reduce scoliosis without surgery, and in some cases, even cure it. As seen from the above treatment results, the earlier treatment is begun, particularly when the curves are smaller, the greater the potential for a cure. 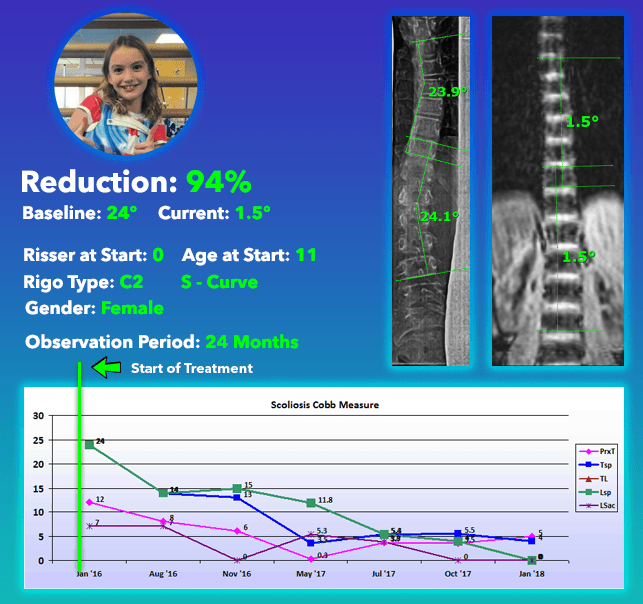 This is why Scoliosis Care CentersTM of Janzen Chiropractic has dedicated much of its focus to early detection of scoliosis and early intervention. 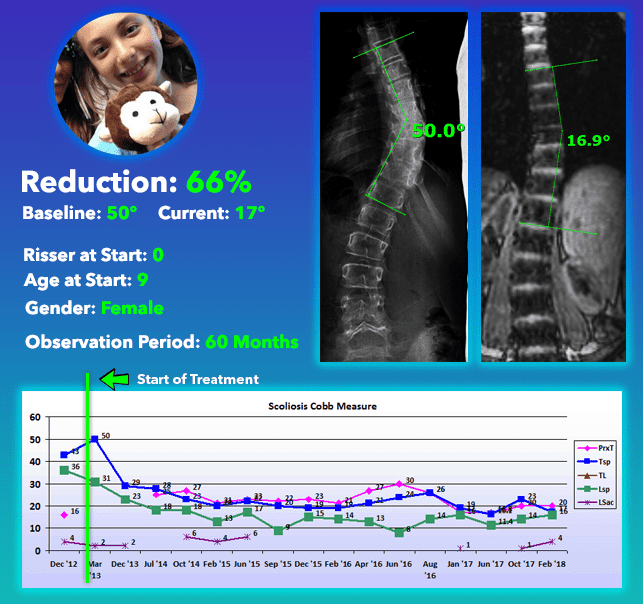 It may just be that with diligent screening and early intervention, a preventive cure is possible for most cases of childhood and adolescent idiopathic scoliosis.